Price reduced! 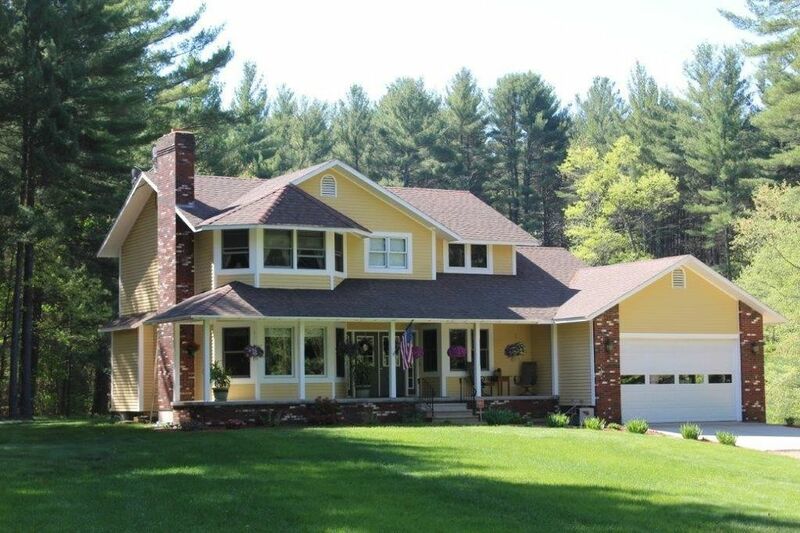 Outstanding Contemporary home set on a country road near Quabbin Res. land yet not far from Ware center. Relax on the farmer's porch overlooking the front yard & distant views of pond & wildlife. Built in 1992 & updated with a beautiful kitchen which includes plenty of windows for lots of natural lighting & views of spacious back yard. Quality cherry cabinetry with plenty of storage space and work area on the granite counter tops, stainless steel appliances and a breakfast bar. Adjoining family room with vaulted ceiling and a patio door leading to the back yard. Formal living room with fireplace and gleaming hardwood flrs flows nicely to dining room or front foyer. First floor office with a nice view of yard and French doors for privacy. Three second floor bedrooms including a Master Suite with an 8'x10' walk-in closet and recently renovated bath including soaking tub, beautiful tile work, double tile shower, double vanity and tile floor. Heated garage & recent septic.